Vincent Academy of Pathology (VAP) is a non-profit and non-governmental organization founded in January 2016. The main goals of the VAP are education, consultation, and research in the field of pathology. The academy works closely with national and international pathology departments and medical faculties. Several international experts collaborate with the academy and provide diagnostic courses for practicing pathologists and pathologists in training. 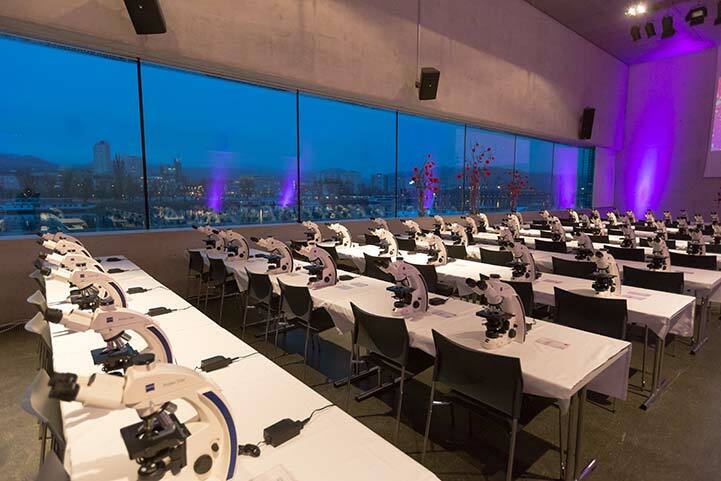 One of the main purposes of the academy, located in Linz, Austria, is to organize a variety of interactive diagnostic courses for practicing pathologists as well as pathologists in training. The courses (will) cover almost all diagnostic specialties of surgical pathology. During the courses, on each day several examples of common and uncommon cases will be extensively discussed by an interactive approach using live-microscopy. Stay informed about new courses! We are happy to keep you posted. If you want to experience change, come to Linz. 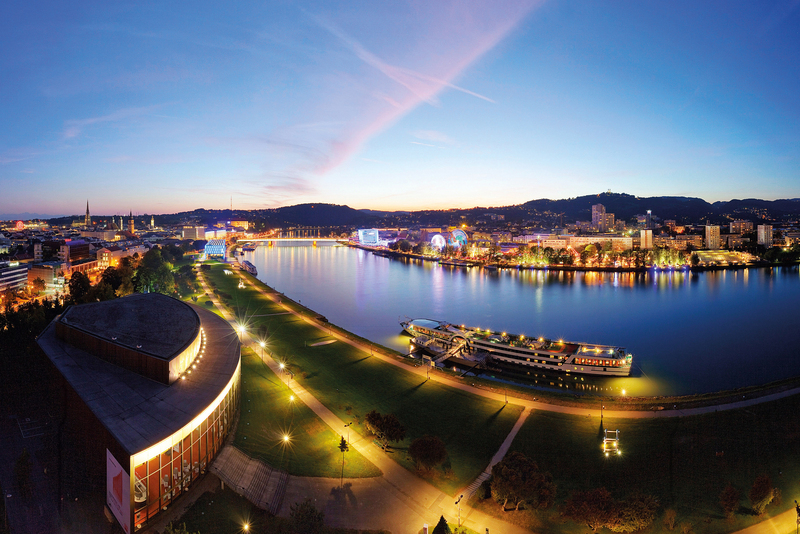 No other city in Austria has experienced such an impressive transformation in recent years. New, impressive cultural buildings in the past 15 years, creative minds and its year as the European Capital of Culture in 2009 have sparked the city’s continual focus on the future. 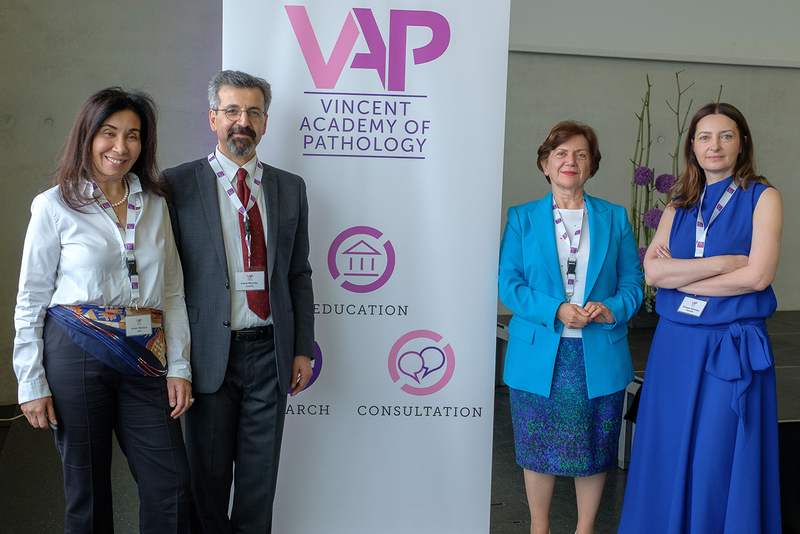 Several well-known international experts collaborate with Vincent Academy of Pathology and provide diagnostic courses with practical guides for pathologists. Participants of the fellowship and observership programs will have the opportunity to deal intensively with surgical pathology of the breast and female genital organs. Currently, there are several ongoing scientific projects, particularly dealing with breast, gynecological, and thyroid tumors. For more information, please see the list of publications. Size Influences Nodal Status in Women Aged #70 with Endocrine Responsive Breast Cancer. Fitzal F, Helfgott R, Moinfar F, Gnant M. Ann Surg Oncol. 2017 Dec;24(Suppl 3):555-556. doi: 10.1245/s10434-017-6156-0. Epub 2017 Nov 20. No abstract available. Interlaboratory variability of Ki67 staining in breast cancer. Focke CM, Bürger H, van Diest PJ, Finsterbusch K, Gläser D, Korsching E, Decker T; German Breast Screening Pathology Initiative. Eur J Cancer. 2017 Oct;84:219-227. doi: 10.1016/j.ejca.2017.07.041. Epub 2017 Aug 19. One-stop clinical assessment of risk for endometrial hyperplasia (OSCAR-Endo): a fast-track protocol for evaluating endometrial pathologies. The Department of Pathology (Vincent Pathology, Linz) is an international reference center for breast and gynecologic pathology and provides consultation service for reaching an expert second opinion.